Facebook founder Mark Zuckerberg has been named Time magazine's Person of the Year, beating the popular favourite, Wikileaks founder Julian Assange. Zuckerberg, aged 26, is the youngest Person of the Year since the first one chosen, aviator Charles Lindbergh, who was 25 when he was named in 1927. 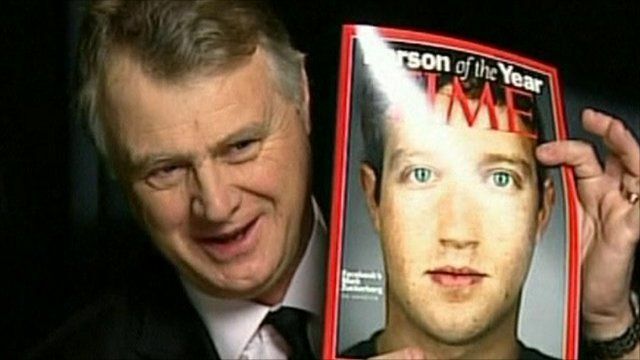 Michael Elliott, Time's Deputy Managing Editor, explained why the magazine chose the Facebook founder.